The Bar Chef bartending program at Metropolitan Bartending School, teaches students to meet the demands of the modern cocktail enthusiast by re-creating the standard cocktail using fresh seasonal ingredients, and infusing culinary delights. This bartending class is a fun and creative evening that will inspire you to “think out of the box” and concoct cocktails such as Ceasers, Mojitos & Margaritas using un-expected fruits and vegetables like Cucumber, Blood Oranges, fresh herbs like basil thyme, sage, and exotic spices. 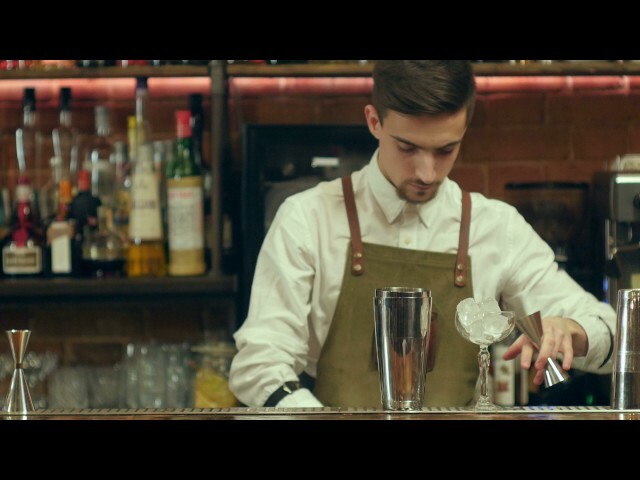 The industry is moving towards this new style of bartending. The new trend is; freshest ingredients possible. More often you see bartenders juicing fruits, and cutting garnishes on the spot to create top quality fresh cocktails. This 3 hour seminar focuses on those trends. We promise you will walk away with more than a few new cocktail making skills, and have a great time learning and tasting. I came to this class expecting to learn a lot about being a bartender, but I learned so much more than expected. It was my first time to actually make drinks using my inspiration and the fresh ingredients provided. Watching everyone mixing the variety of ingredients and alcohol really inspired me to continue exploring different ideas in making drinks. I really liked the instructor. The hands on experience is just great & the class was a lot of fun! The most interesting part about this course was discovering how combinations of ingredients came together: thyme and cassis, gin and cucumber etc… It opened my eyes to see the infinite possibilities and also how people from different cultures and backgrounds can come up with different ideas and also appreciate each other’s drinks.